The cruel and bloody slaughter known as the grindadráp continues with the support of the Danish government, in conflict with the European Union's Habitat's Directive. 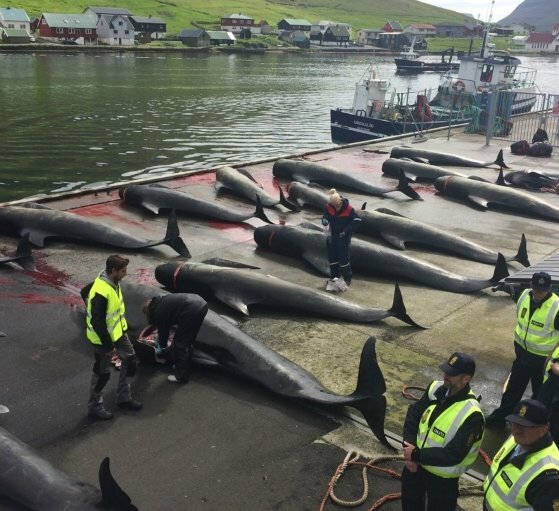 Operation Bloody Fjords heralds a new direction for Sea Shepherd as the organization takes its battle against the grindadráp to the heart of the Faroese and Danish institutions that continue to promote this outdated practice. Every year, up to 1,000 migrating pilot whales and other dolphins are hunted and brutally killed in the Danish protectorate of the Faroe Islands. Sea Shepherd has led opposition to the grindadráp since the 1980s, saving the lives of hundreds of pilot whales and bringing global attention to the ongoing slaughters. A total of 28 Sea Shepherd volunteers have been arrested for interfering against the grindadráp, many of who were subsequently deported for the “crime” of defending pilot whales. Increasing restrictions prevent Sea Shepherd volunteers from entering the Faroe Islands in an attempt to cover up the horrors of the grindadráp. But as the battleground changes, we too change our tactics. 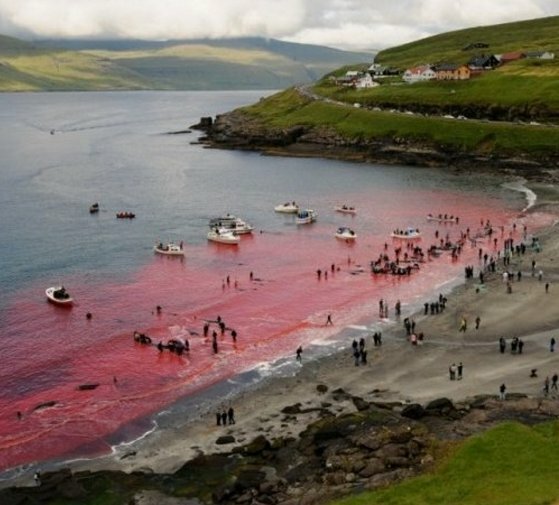 Operation Bloody Fjords takes the battle to the heart of the Faroese and Danish institutions that continue to promote this outdated practice.. We will use photographic and video evidence to fight the grind in the judicial and political arenas, in commerce and industry and -- as always -- in the media. Sea Shepherd has officially submitted a request to the European Commission to launch infringement proceedings against Denmark for facilitating the slaughter of pilot whales and other cetaceans in the Faroe Islands. 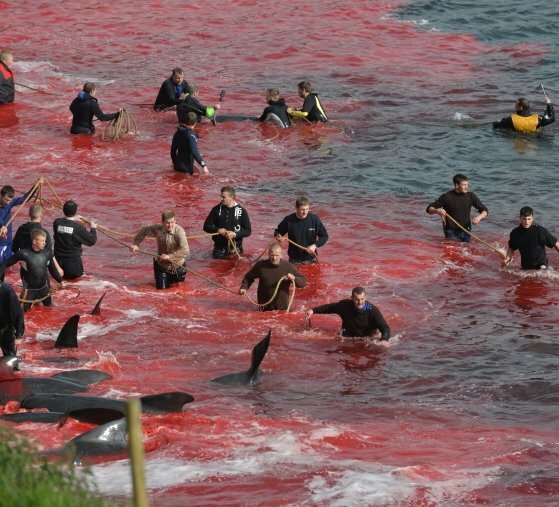 An EU directive prohibits member states from all forms of deliberate disturbance, capture, or killing of cetaceans, however Sea Shepherd has evidence proving that Danish officials from the police, navy, and customs have been facilitating and even actively participating in the Grind. Police officers employed by Denmark on board a Faroese boat actively engaged in herding pilot whales for the Grind slaughter. Photo: Sea Shepherd Global. Pilot whales in Haraldssund, off the coast of the Faroe Islands. Photo Marianne Baldo. A grind turns the waters of the Faroes Islands red with blood. Photo Mayk Wendt.